Singers, how do you keep your voice in shape when you’re on holidays? Should you even try to practise singing if you don’t have a pitch reference, piano, or any of your sheet music? In today’s episode of Total Voice TV, I give you some simple strategies for vocalising while you are away from home. 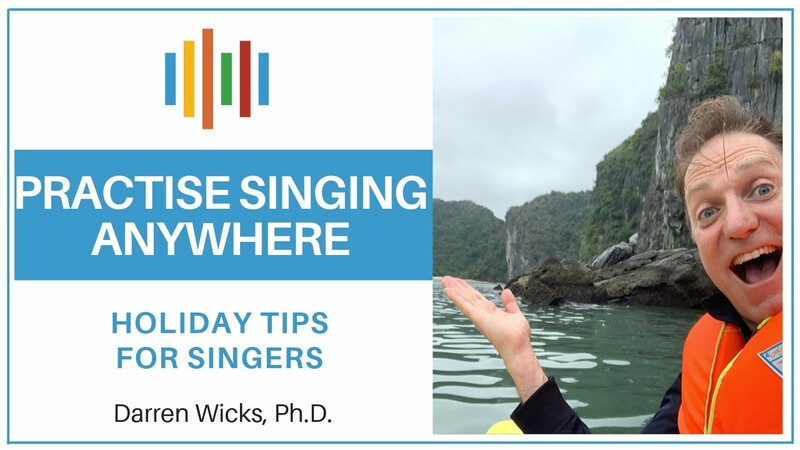 Let’s deal with the big question – should even bother to practice singing while you’re away from home? I don’t think anything can replace the value of mindful, goal-oriented practice. On one level, it’s unlikely you will ever be able to practise as effectively on holidays as you can when you’re at home. However, on the other hand, we should remember that muscles that are left alone for long periods of time, will start to atrophy. That means your vocal muscles will start to lose strength and flexibility. To some extent, your singing will start to degrade if you don’t keep practising. Therefore, some vocal work is definitely better than nothing. 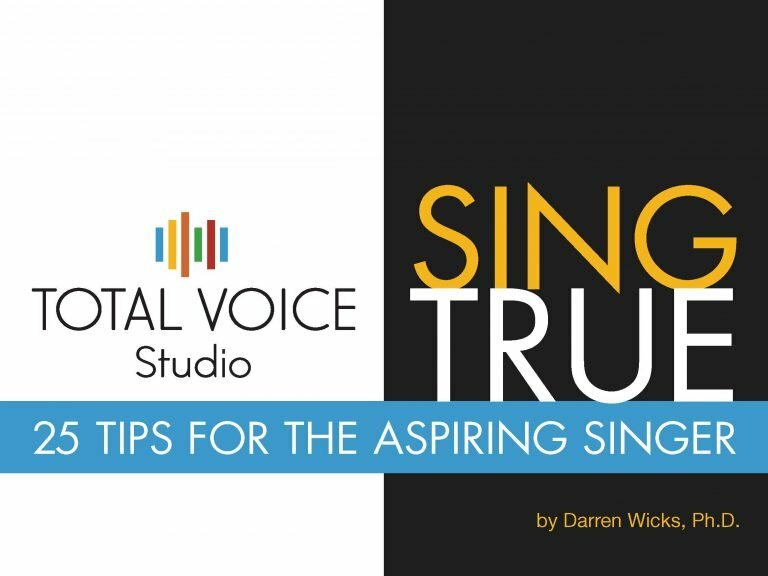 If you’ve been investing in your voice over a period of time by taking singing lessons and practising technique, then it doesn’t make sense to let things slip completely while you’re away on holidays. Yes, there are challenges – busy schedules, unfamiliar surroundings, hotel rooms and the like. However, there ARE simple strategies you can use to keep your voice moving, even in a remote place like this. exploring my vocal range from the bottom to the top and then down again. We call this technique sirening, portamento or vocal glides. After this, try to find some relative points within your range such as a low pitch, a middle pitch and a high pitch. Once you have these landmarks in place, start to divide your range even further. For example, find two sounds in both your low, middle and high pitches. Continue to divide this up until you have a series of little steps throughout your entire vocal range, bottom to top. You might notice some pops, cracks or breaks as you move from your low notes (chest register) through to your high notes (head register). Slowly as you massage your voice across its range, you should be able to smooth out these breaks. We call that an even registration, or a connected voice. So in this first phase, I am recommending vocal exploration – freely moving around your voice without the need for a pitch reference or piano. This type of work is best accomplished by using some of the semi-occluded sounds. In another video, I clarify this term and discuss one of the most famous semi-occluded sounds, the lip bubble or lip trill. After working for some minutes with the semi-occluded vocal sounds, you can progress to vocalising on vowel sounds. I suggest you start with closed vowel sounds such as EE (feet), IH (bit), and OO (good). Then you might try a more middle vowel sound, such as OH (boat). Finally, vocalise using an open vowel, such as AH (father) and AE (cat). Practising scale patterns without a piano is difficult for some singers, but it is a great exercise because it will build your ear and focus your awareness on your sense of pitch. You can sing numbers 1-2-3-4-5 or sol-fa syllables do-re-mi-fa-so. Practising songs may be impossible when you’re away. However, scale patterns, sequences and even canons (rounds) make for some ideal material to sing after you have warmed up. For example, try singing the famous canon Frere Jaques using numbers or sol-fa. When you’re travelling, don’t forget that singing is a skill that is most enjoyable when it is shared. You never know what new friends you might make through singing. Here I was singing “row your boat” in my canoe when another person heard me and wanted to paddle over and join in. Even if you’re away on holidays, you CAN still practice your singing. If you’ve been practising, developing your voice technique, and taking singing lessons, it doesn’t make sense to let all of that go. Your singing technique is built with muscles. Muscles that are left alone for too long with atrophy, meaning your singing will go backwards. You will have to work to get it back when you return. It’s to be expected that you cannot practice as effectively while you’re away as you can at home. However, there are still some things that you can do to try to maintain your technique. Of course, clients of Total Voice Studio will already have some recordings of their lessons and some personalised vocal warmups. I encourage you to load them onto your devices, bring a set of headphones, and you can practise singing more meaningfully when you’re away. So until I see you again, be well and sing well!